Are you being smart with Smartly? Target recently came out with a line of low-cost items for every day, called Smartly. Their soaps and cleaners appear to be copying Method. With names like “Summertime” and “Blossom” for their scents, we could get into this. See what products you can switch to save on. 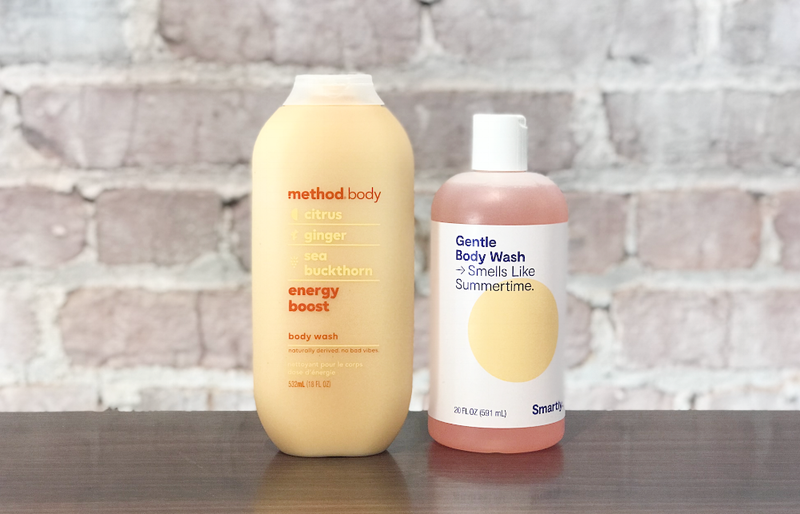 We compared the Target Smartly Line to Method’s products and break down where you can switch to save and where you should stick with method. First up, hand soaps. All Smartly soaps lathered and functioned very similarly to Method. Many had less dye than Method, which is great if you’ve got that sensitive skin. Side note: holla at ya girl if you’ve also got sensitive skin and want some products tested. While all the soaps smelled pleasant to us, some did better at imitating the Method smells than others. 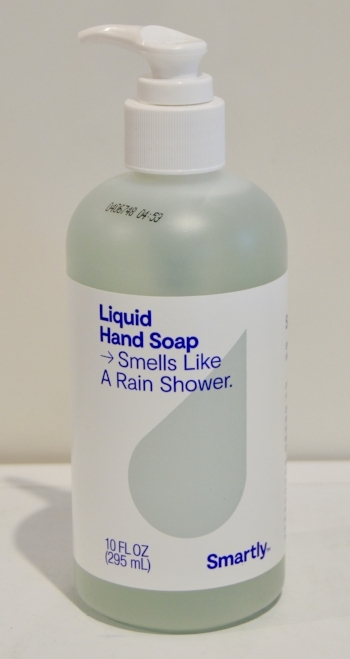 Not to mention, the soap on the Smartly bottle is easier to pump out. Looking to clean house? We also reviewed a few cleaning supplies. Ready to get squeaky clean? One Brandefyer has made regular exercise and monthly goal and that requires the use of a good strong body wash. We tested a few Smartly body washes as well. All of our comparisons are done side-by-side, to see how similar two products are. Per usual, hanging out in the office in our bathrobes, ready for your review requests! We’re working to answer questions about Smartly and how it stacks up to other favorite brands. Check the app for more reviews!